...and professionally. They communicated with throughout the entire process & quickly settled my claim. I hope to never have another insurance claim, but if I do, I would definitely be using them again." ...to help us with our insurance claim after Hurricane Matthew. The entire process was new to me, and Curtis made sure we were kept informed along the way. They were present for all inspections, gave me great advice on which items should be repaired first, and so much more. 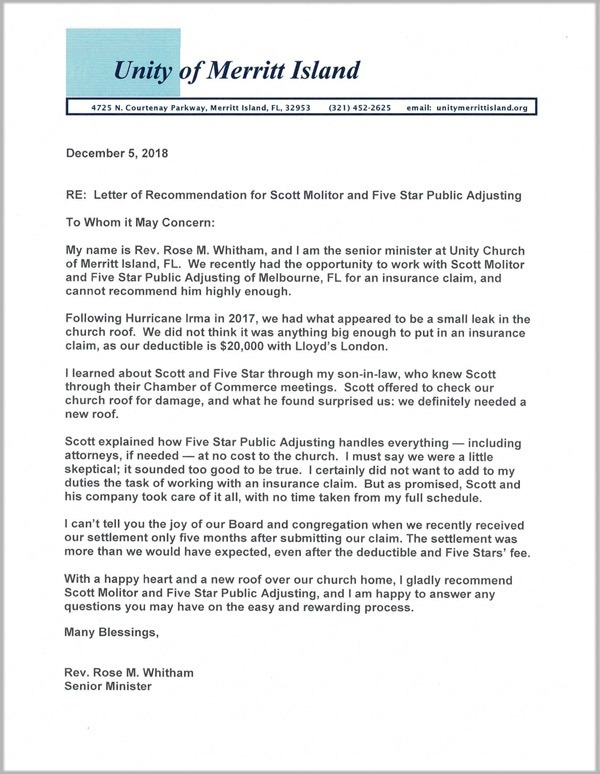 Without their help we would have never been able to obtain payment from our insurance company." 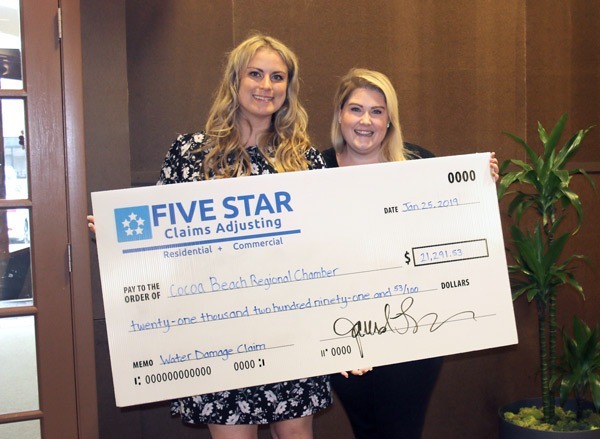 company that initially refused to pay for damage caused by hurricane Irma. As a result my insurance paid. It was a great experience to work with Five Star! They kept me informed about my case all the way and everything they promised on time. Also, no surprise bills! Thank You!" "I highly recommend Five Star! works. He answered all calls/emails promptly and I feel he went above and beyond for my claim. His office staff was also very friendly and called almost weekly with an update, so I wasn't left wondering where we were in the process. 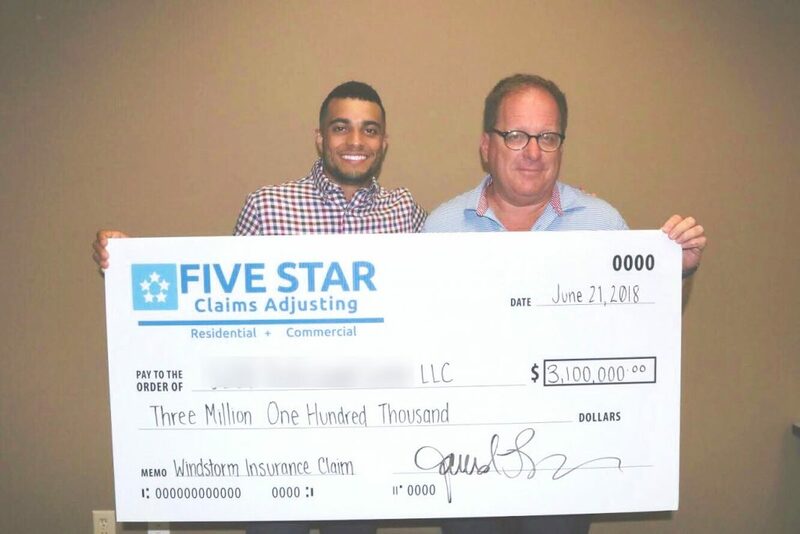 If you need to file a claim, use Five Star!"